There are some days when I can’t wait to take pictures of my food so I can stuff it in my mouth. Today was just such a day. This low carb tomato herb focaccia is a true yeast bread so I’ve been waiting all morning as it rose, then rose again, then came out of the oven smelling like herbs and fresh homemade bread. There are a few things I should mention about this low carb focaccia. 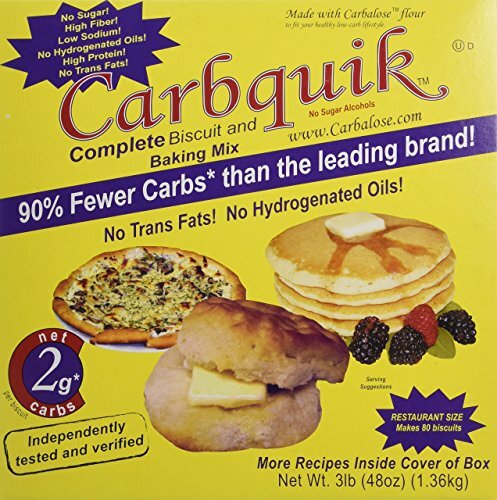 The main ingredient is Carbquik Baking Mix which is a low carb flour made from wheat. I don’t know what kind of voodoo they work to made it low carb, but the net carbs are just 2g per 1/4 cup. Not too shabby compared with almond flour which is 6g per 1/4 cup. But because it’s made from wheat it isn’t Keto or gluten free, so that’s worth considering before you invest in a box of Carbquik. You should also know that this recipe calls for sugar. But hold your angry comments for just a minute. The sugar is just used to feed the yeast. And the process of fermentation converts the carbohydrates in the sugar to energy, alcohol and carbon dioxide. (The carbon dioxide is what makes the bread rise.) So you don’t ingest any carbohydrates from the sugar. All thanks to Science. It does take a little doing to make this low carb focaccia, but I am telling you, it’s worth the work. You’ll need to knead the bread dough and let it rise a few times, but at the end of the day you’ll have a slice of yeasty, herb filled tomato focaccia with only 2g net carbs. And your house will have that dreamy fresh bread smell. This recipe for low carb tomato herb focaccia is the real deal. Herby, yeasty and delicious. 1. Grease a 10 x 15 inch cookie sheet with sides. 2. Dissolve sugar in 1 cup warm (like bath water) water. Add yeast, cover and allow to ferment until frothy and bubbly. 3. Mix in salt and 1/4 cup olive oil. 4. Add in 2 cups Carbquick in 1/4 cup increments, stirring until fully combined. Stir in remaining 3/4 cup Carbquick . Keep adding more until a kneadable dough forms. 5. Knead dough for 10-15 minutes until elastic and smooth. There will be coconut flake sized chunks of Carbquick in the dough. That’s ok.
6. Put the dough into a large greased bowl and turn over to grease both sides of the dough. Cover bowl with a towel and allow to rise for 1 hour. 7. Punch the dough down and knead it a little bit. Roll the dough out into a 10 x 15 inch rectangle and place on the cookie sheet. The dough should cover the cookie sheet from edge to edge. It will seem thin, but will rise again. 8. Make indentations in the dough with the handle of a wooden spoon in 1 inch intervals.. Brush 2 tablespoons olive oil over the surface of the dough. Allow to rise for 15 more minutes. 9. Preheat oven to 400 degrees F.
10. In a small bowl, mix together all spices. Sprinkle half of the spices over the dough. Thinly slice tomatoes and arrange on top of dough. Sprinkle remaining spices on top of tomatoes. Sprinkle parmesan cheese over everything. 11. Bake for 15-18 minutes until edges are browned and cheese has melted. 12. Cool on the cookie sheet for 10 minutes and then remove to a cutting board. Best when warm. If you liked this yeast bread, then you might be interested in my recipes for Yeast Bread Rolls, Monkey Bread or Rustic Italian Bread. Great recipe. I added in some kalamata olives. So good. Mmm. That does sound good.